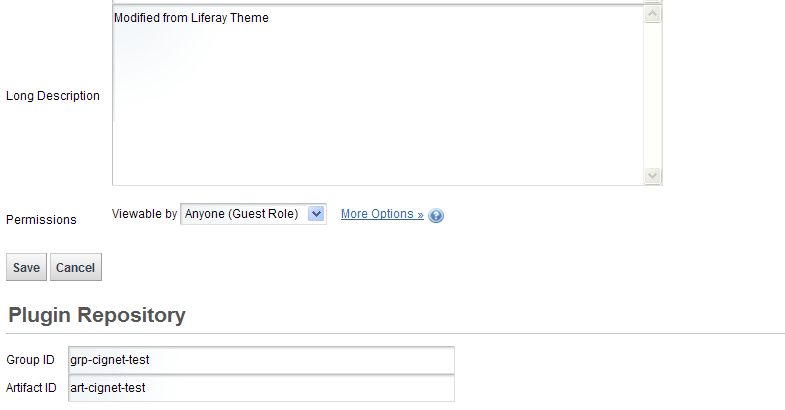 1) Log in to liferay portal. 2) Go to menu Manage/Control Panel. 6) Enter details as follows. 9) Click My Products tab. 9) Product is added to list. Click the N/A under Version Column.